Located in the lovely street Saint-Rémy, this 3-bedroom-duplex, modern and warm, is the ideal place to welcome your family. Composed of a large living with an open kitchen, it’s perfect for cooking good meals with your family. Just for you, here are some good places closed to the duplex in order to have an enjoyable time in Liège: Telle Mère Telle Fille, Chez Gusto or Le Bi’Stronome ! Our team is now complete: welcome Elisa ! Student in 2nd year at KEDGE Business School Bordeaux in the EBP international program, Elisa arrived last week after a 1-year-stay in Riga, in Latvia. Passionate about contacts and attracted by the dynamism of a friendly team, she naturally decided to join our team for a 6-month internship ! Her 2 favorite flats are both in Liège: the Studio Les Dominicains for its industrial desig, and the Pont de Fragnée 2 for its 110m² and its modern and cocooning atmosphere ! 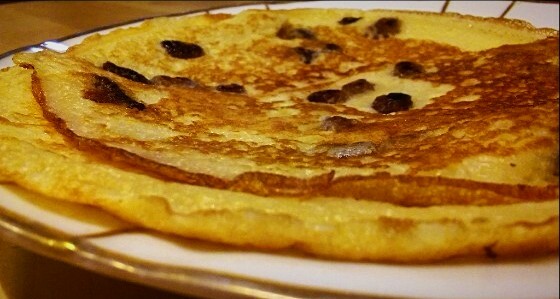 These are crêpes from Liège made using buckwheat flour, with raisins inside. They are traditionally eaten at Christmas with a little mulled wine, or on 15 August in Liège with a little Peket, but may be found in some places in Liège (at Massin or at André; we prefer the ones at Massin) and the recipe is quite simple to make. It feels good and is healthy because there could not be anything more natural inside and it is lovingly made locally. 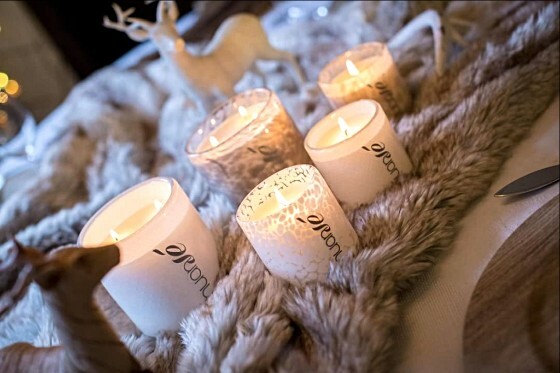 We tried some for Scented candles, made in Embourg near Liège. We chose a “leather” scent and were most attracted by it. It is not disgusting, just nice. You can buy and recharge these candles directly through Séverine, the Liège-born creator, or by visiting one of her points of sale which are also worth a detour for their unique selections of products and sites. Le Merveilleux, the Incredible, the Unthinkable, the Magnificent, the Sans-culotte, the Eccentric… It is only when you eat them that you realise how they got their name! Made in the window, you can stop there, pause, let out a dribble of saliva, lose yourself in your dreams of light, crunchy, smooth meringues, joyously rolled in a cloud of whipped cream and in pieces of caramel, chocolate and other bits which melt in the mouth… God help anyone who goes with you and wants to taste the delight you have in front of you. They are too good to share. You can now admire them on Les Merveilleux de Fred’s website before queueing in Brussels or Lille. A gaming bar located at rue Hors Château, in the historic heart of Liège, which is always full! With your family, colleagues or friends, for a special little beer: we love board games, not only when we win. Opened by a truly wonderful couple, Yam Toto is a bar where you pay for your table to stay there for as long as you like, to try out any games you like in a great gaming venue with help making your choice depending on the number of players, how long you have and what you want. You will feel at home there, at your best (there is someone who serves and runs the bar, and then reads and explains the rules of the game for us). Grub and books! What more could you want? 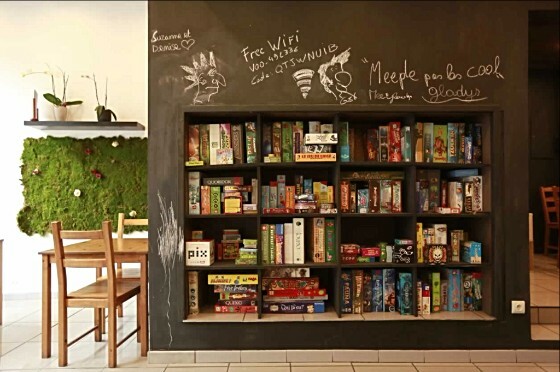 In Brussels, Cook & Book is both an out-of-the-ordinary restaurant, a bookshop with different rooms decorated around literary themes, a space where you can attend conferences if you are an adult and a reading corner where you can listen to stories if you are a child. You always spend more time there than you had anticipated, having fun, having a drink or having brunch over a book and then buying books which you had not expected to buy, ones which you had not expected to come across either. Our team met Tamara Smit, passionate about olive oil and who runs discovery and tasting sessions around this green-yellow gold. Nothing could be more true in our kitchens. Tamara Smit led us to discover an unknown world, as unusual as wine-making or beer-brewing, that of olive oil. Oil which you feel, taste (yes, we have sampled olive oil for our end-of-year celebratory meal!) and which blends with dishes, until it becomes the main seasoning. 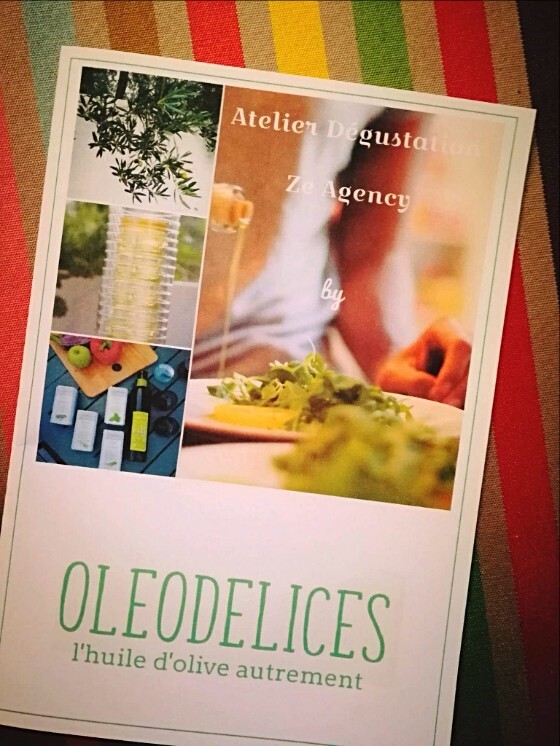 To find out more and attend one of her sessions: www.oleodelices.be. The Atelier Blink has just decorated 5 apartments (with a sixth on the way), ready for you! The Blink 1 and Blink 3 studios, Blink 2 and Blink 4 apartments, the 1-room Saint-Rémy 3 apartment and coming soon (now for the Spoiler!) the “Chez Rémy”. The Atelier Blink, which has established a reputation in Wallonia, has also set up and decorated the Préhistomuséeum de Ramioul which we have already recommended to you for a family outing. 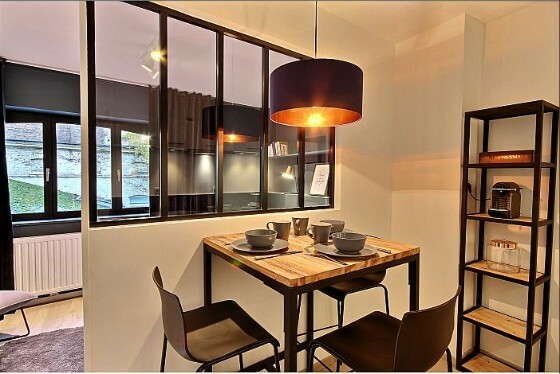 This is an object and space design office which gives our apartments style which is pure, industrial, practical and cosy to make our tenants happy. – Toka anji rodi roumi yakoo!!! And you, you read it as if you understood Japanese.